Summoners War is a fantasy MMORPG featuring strategic turn-based combat fought with creatures summoned, raised, breed, and fused for the purposes of battle. Train up your trio of companions to monstrous heights and fight for victory in the Sky Arena! ►Stat Check: Assemble a team of beasts and pets of various typings like dragon, warbear, demon, and more. ►Avatar: Tactically manipulate elemental affinities both offensively and defensively. ►Checkmate: Think several moves ahead to survive engagements against strong foes. ►Gold Star: Tag in daily for exclusive events and rewards. ►VS: Fight against other summoners in the competitive matchmaking. ►Tradesmen: Craft up stat-boosting runes to equip on your monsters. ►Group Play: Bring in your friends to form a guild and take on difficult dungeons together. This is a free-to-play title selling a premium currency used to summon additional monsters. Well, every now and then, you chance upon a game that’s actually really crazy good (at least compared to everything else in its field). Com2us announced the latest update, Version 1.7.0, to Summoners War that features guild battle changes, a new monster, and EU server. GAMEVIL COM2US USA announced that the "Tour of Americas" will roll on, heading to Houston, TX on April 20th, 2019. +Monster variety expands past simple palette swaps. +Can recover old accounts via Hive system. +Quality and production value surpasses standards of current free to play mobile market. -Chat channel can’t be turned off. -Getting good monsters without cash shopping takes a lot of luck or a large time investment. 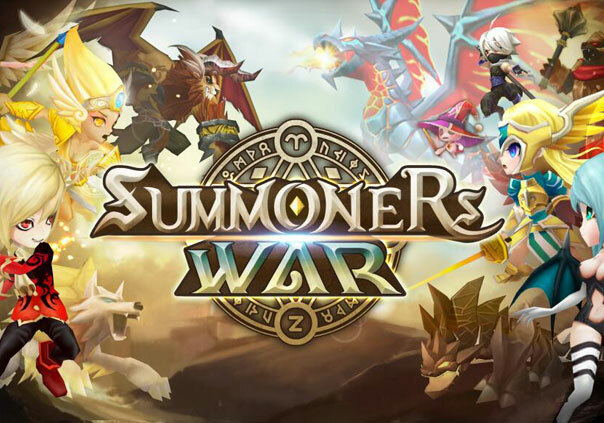 Description: Summoners War is a fantasy MMORPG featuring strategic turn-based combat fought with creatures summoned, raised, breed, and fused for the purposes of battle. With its own unique take on the classic fantasy genre, Winterfrost Legacy focuses on the strategic aspects of battle.